A man died at a school in Kettering last night, police have confirmed. 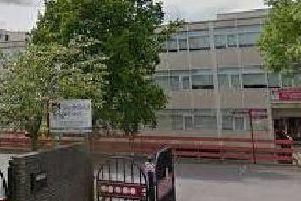 Southfield School in Lewis Road is closed today after parents received a message about an incident. An East Midlands Ambulance Service spokesman said: “We received a call at 8.01pm on March 25 to Lewis Road, Kettering. A Southfield School spokesman said: “It is with regret that Southfield School can sadly confirm that a member of our support staff died suddenly on the school site yesterday evening. “At this stage we are unable to release any further details out of respect for the family. On social media the school said the Bronze Duke of Edinburgh’s Award training walk would be rescheduled. The Year Six uniform try-on event will go ahead tonight as planned.